Christened after a nearby village, the new settlement will occupy an area of 4.8 km2. At present, the locality is covered mainly by fields, meadows and woodland, dotted with industrial and derelict sites from the Soviet era. It is traversed by motorways, including the main traffic artery to Minsk. Skolkovo is the extremely ambitious and duly publicized attempt to build a new district that – unlike the erstwhile Soviet satellite towns – offers inherent urban quality through a vibrant mix of uses. No less important is the aim of creating a globally reputed centre for innovative twenty-first century technology, embracing the research, production, administrative and even headquarter facilities of new companies, as well as schools, institutes and a university. To speed up implementation, the Skolkovo management team kick-started the ambitious project in 2010 by appointing distinguished architects and designers from across the globe to submit proposals. After a competition procedure in 2011, a conceptual masterplan was put in place as the basis for elaborating the individual schemes. 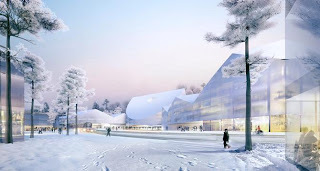 Herzog & de Meuron was commissioned to design Skolkovo University, a project which first necessitated the drafting of our own masterplan in tandem with the architectural development work. 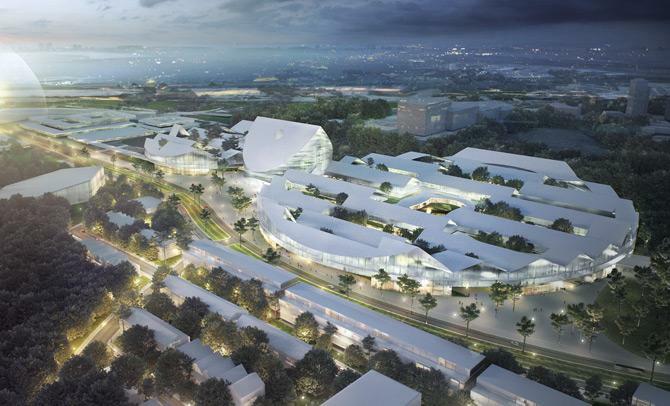 This masterplan and the conceptual study were completed by the end of 2011. The scheme comprises Skolkovo University itself, to be developed in two phases, together with proposals for a complete residential district housing students, teachers, professors and other new residents attracted to the new location. 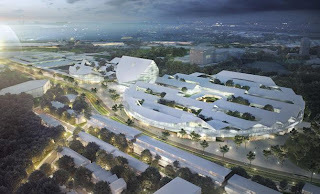 The designs for this residential quarter will be fleshed out in a subsequent phase starting in 2012. 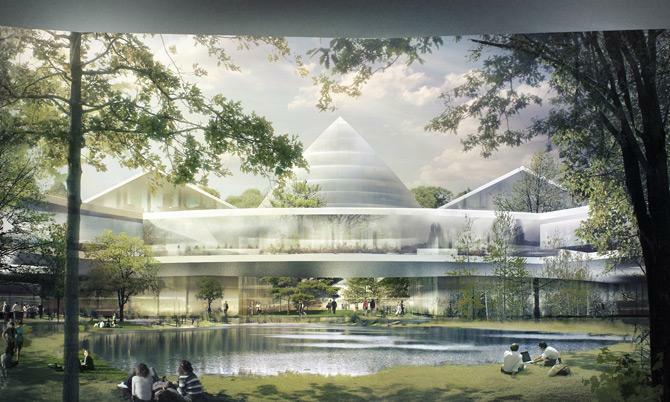 For this, a mandate will be awarded on the basis of a design competition for which Herzog & de Meuron will invite entries from Russian and international, though preferably young, architectural practices.